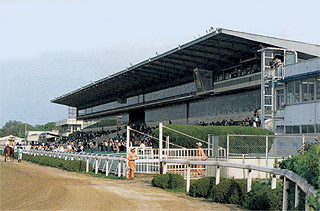 This racecourse is located in the northeastern section of Amagasaki City and is popular as it is the only regional public racecourse in the Kansai area. The races unveiled before the eyes of the racing fans are filled with power. 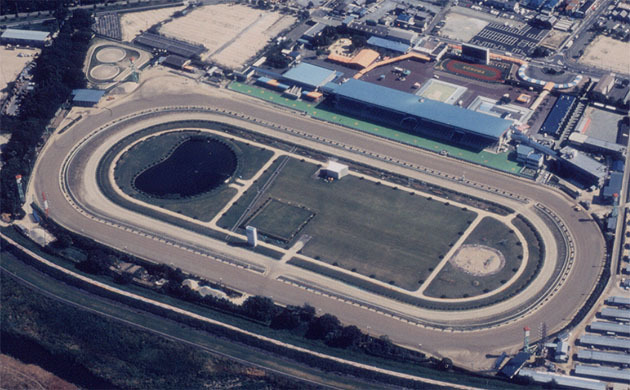 The racecourse is near Osaka (Itami) Airport, with passenger planes taking off and landing very close by. 20 minutes from Hankyu Railway Kobe Line Sonoda Station. From Hankyu Railway Kobe Line Sonoda Station, 7 minutes by Amagasaki Municipal Bus running via the Sonoda Branch Office, such as to Hankyu Tsukaguchi; get off at the Keibajo-Mae bus stop (in front of the racecourse). 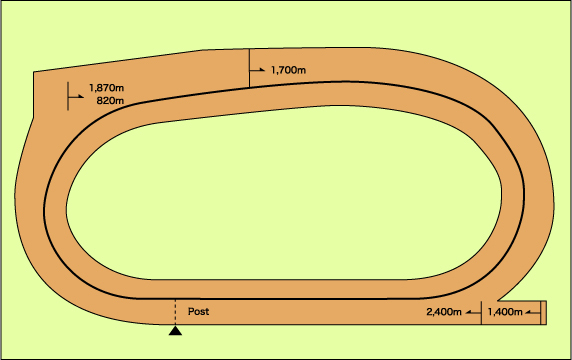 * On days when races are held, a free shuttle bus runs between the Sonoda Racecourse and Hankyu Railway Kobe Line Sonoda Station. 5 minutes from Hankyu Railway Kobe Line Sonoda Station.